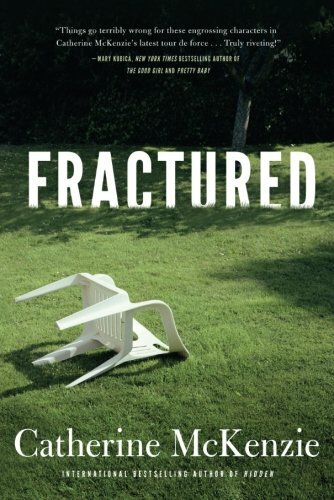 Fractured is one of those stories that wouldn't be terribly suspenseful without its meticulously engineered structure. By splitting the action into two different timelines and doling out details in tightly controlled measures, McKenzie manipulates what would have been a humdrum tale of neighbors being nasty into a page-turner. 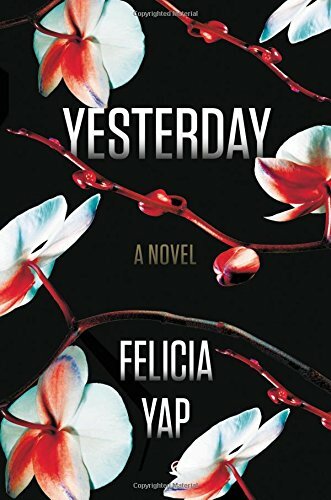 Julie moved with her family to Cincinnati to get away from a stalker whose attention she unwittingly attracted after she wrote a bestselling murder mystery. But it might be a case of “out of the frying pan, into the fire,” because the new neighborhood is ruled by a newsletter-writing, block-party-planning, arbitrary-rule-creating nightmare of a housewife named Cindy. There's also a complication waiting to happen in John, Julie's new across-the-street neighbor, who's out of work and has plenty of time to go on runs together and help her with computer issues. In a totally platonic way, of course. Wink, wink. Fast forward a bit, and in the second timeline we learn something capital-B Bad has happened on the block, but we don't know what it is or who's responsible. But someone may be dead! Dun dun DUN. What keeps Fractured in the realm of fun diversion as opposed to memorable thrill ride is the ending. With all that buildup, McKenzie makes some promises she can't quite deliver on. So while the resolution makes logical and emotional sense, it wasn't the explosion I was expecting. I kinda wanted to jump into the pages myself, maybe smash some plates or scream expletives from the driveway. Take a pair of shears to someone's new sweater. But then again, in suburbia you're not allowed those kinds of outbursts. Better to watch judgily from your window and talk behind someone's back at the next cookout. With regards to Lake Union Publishing and NetGalley for the review copy. On sale now!